This November, Amendment 13 offers a chance for Florida voters to end greyhound racing in the state. Dog-racing has been practiced as a competitive sport in the United States for nearly a century, since the first commercial racetrack was opened in 1919 by Owen Patrick Smith, inventor of the mechanical lure. In a track race, five to six greyhounds chase a lure, originally a hare, around an oval track until they cross the finish line. Greyhound racing is governed by state law—currently, 40 states have banned the practice. Florida remains one of the few states that still allow dog-racing, hosting 11 out of the nation’s 17 active tracks. Just a five-minute drive from New College, Sarasota’s own dog-racing track, Sarasota Kennel Club Dog Racing, remains in operation, with races set to resume on Dec. 14, 2018. Sarasota Kennel Club did not immediately respond to requests for comment. This past spring, a Constitution Revision Commission (CRC) passed the proposal of potentially ending dog-racing in the state by placing Amendment 13 on the Florida ballot for the Nov. 6 election. 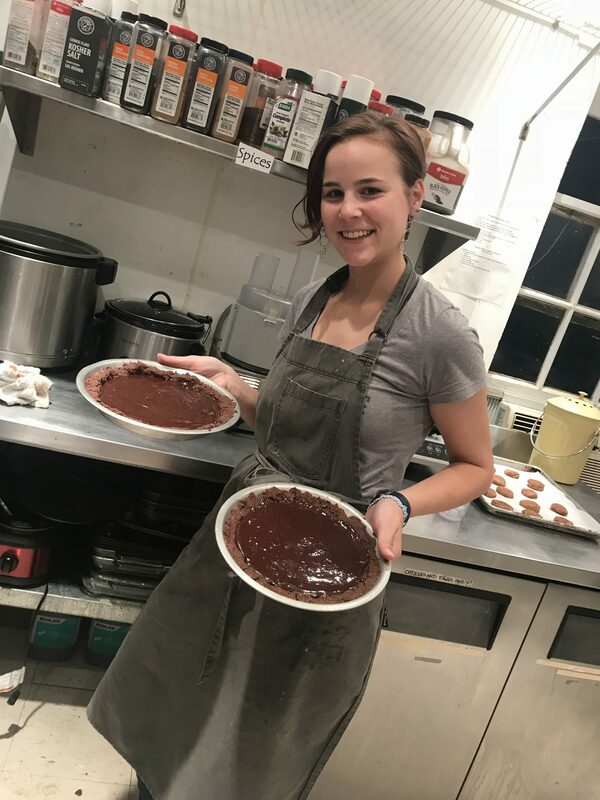 Kate MacFall, co-chair of the grassroots campaign Protect Dogs – Yes on 13 and Florida state director for the Humane Society of the United States, sees the amendment as an opportunity for Floridians to show that they do not support cruelty to dogs. “It’s out of touch with society and our values,” Macfall said. Although the dog-racing industry prospered in the first half of the 20th century, its popularity has gradually waned, in part due to criticism from animal welfare groups. “A greyhound dies every three days on a Florida track,” Macfall stated. “Many dogs are subjected to injuries while racing.” Florida does not require greyhound injuries to be publicly reported. A recent initiative in Seminole County exposed 73 greyhound injuries since May 2017. To ensure that female racing dogs are optimized and able to race, anabolic steroids are used. “Female dogs are injected with testosterone to keep them out of heat,” MacFall said. The drug may also be used as a performance enhancer. The use of anabolic steroids to boost testosterone levels has been banned in Great Britain, Australia and New Zealand. In Florida, greyhounds are not tested for anabolic steroids after racing. Anabolic steroids may cause harmful side effects, such as virilization, reproductive dysfunction and increased aggression. When not racing, greyhounds are confined in small stacked cages for 20 to 23 hours a day. The dogs are allowed a short break, or “turned out,” for a few hours per day. Similar to horse racing, greyhound races offer spectators the chance to bet on the outcome. Legalized gambling serves to draw more visitors. “They must race the dogs in order to operate profitable poker rooms,” MacFall said. Despite the efforts of animal rights groups, it may be difficult for the amendment to pass, considering the long-standing practice of greyhound racing in Florida. 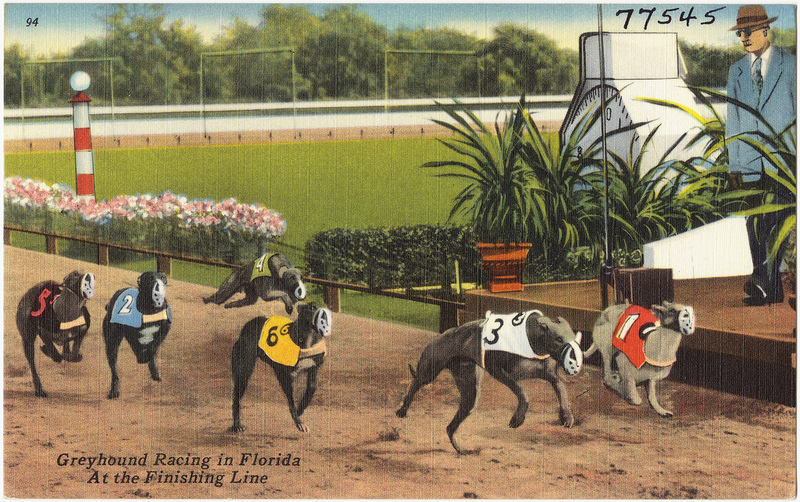 In 1931, after years of illegal dog-racing in the state, Florida became the first state to legalize greyhound racing. Defenders of dog-racing claim that statements by investigators on cruelty in the industry are exaggerative. The Florida Greyhound Association (FGA), an organization “dedicated to helping preserve greyhound racing in Florida,” advertises on their website that racing greyhounds are “doing what they love to do.” The FGA filed a lawsuit against the Florida Department of State alleging that the Amendment 13 ballot information was “misleading.” The case moved to the Florida Supreme Court, where the judge overruled a previous ruling to remove the amendment, thus keeping Amendment 13 on the ballot. MacFall sees the amendment as a crucial step forward in the long fight to end dog-racing. “We have tried for a decade in the legislature to enact change and have not been successful,” MacFall said. Bills to require injury reports and outlaw the use of anabolic steroids have been repeatedly proposed, but have failed. If passed, Amendment 13 would end dog-racing by 2020. The measure requires 60 percent approval from voters. Information for this article was gathered from the Humane Society of the United States, Protect Dogs – Yes on 13, GREY2K USA Worldwide, the Florida Greyhound Association and Ballotpedia. If you are a registered voter, you may vote during Early Voting or go to the polls on Election Day — Tuesday, November 6, 2018! If you are voting by absentee ballot, please mark your ballot and Vote NO! on Amendment 13 and return your absentee ballot right away. Your absentee ballot must be received no later than 7 p.m. on Election Day. Amendment 13 to the Florida Constitution is being characterized as an amendment to end wagering (betting) on greyhound races in Florida, but it goes much further than that. If Amendment 13 is passed, extreme animal rights organizations will have a new constitutional standard to challenge any and all activities they find objectionable. In short, many suspect their first action will be to immediately begin work to ban all hunting and fishing.